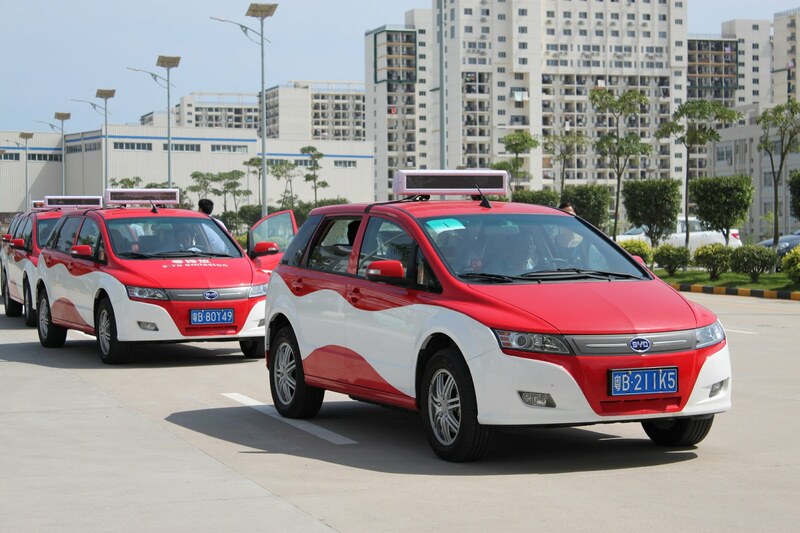 Chinese automaker BYD will soon be running a fleet of 49 electric vehicles as emissions-free taxis in the capital of Colombia. BYD will supply 49 of its e6 EVs to Bogota for what will be the first all-electric taxi fleet in South America. Three more e6 EVs will be provided for Colceincias, Bogota's Technology, Science and Innovation Administration. The taxi fleet will go live sometime by March 2013. The District Government authorized this scalable all-electric taxi pilot in an effort to improve the air quality in Colombia’s dense cities. Forty-nine BYD e6, 5-passenger, all-electric cross-over sedans received approval from the Colombia Ministry of Transportation to operate as taxis in the city of Bogotá. A measure was adopted by the Ministry of Environment in 2009 so that these types of vehicles could be imported with zero tax and electric cars in Bogotá do not have license plate restrictions as do conventional vehicles.